Concerning the baptism of children, we hold that children should be baptized. Because they are included in the promise of redemption made through Christ, the Church should administer Baptism to them. 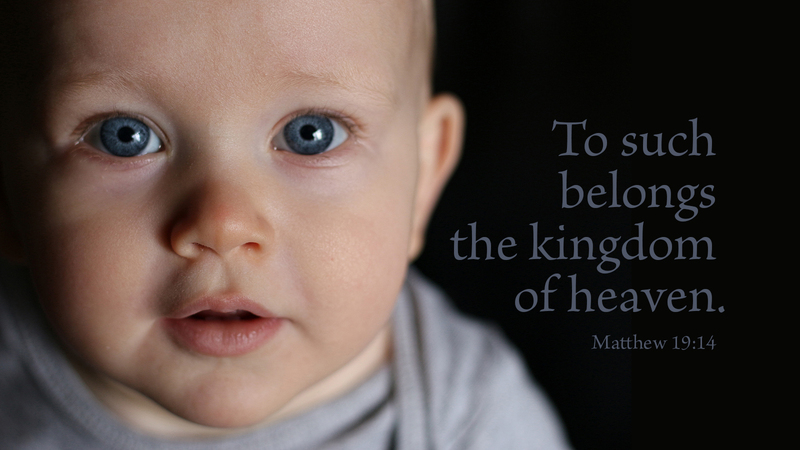 Jesus said the kingdom of God belongs to children. Are they part of his kingdom because of their own goodness or efforts? No more than anyone is because of personal merit. Are they included in the kingdom by virtue of age? Does original sin settle in at a later time or is it part of the human condition? What is the means of God’s grace for any such soul? Knowing that it is baptism, the Church of Christ should then, let the little children come to Jesus. His lap is open. Prayer: Lord, help your Church receive children in your name. Amen. "Why Did Jesus Have to Die?" 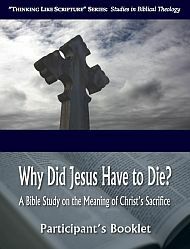 examines the most profound event of salvation history—the crucifixion of Jesus Christ—exploring from a biblical perspective what is known as the doctrine of the Atonement. This six-week Bible Study would be particularly appropriate during the season of Lent.